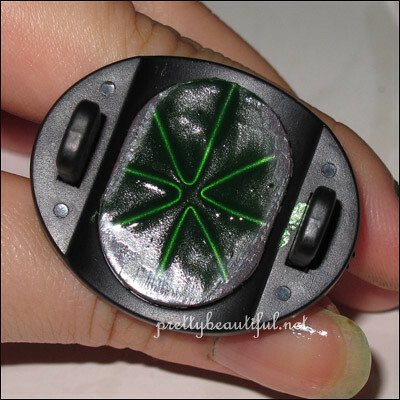 Magnetic Nail Polish Fun – How it works and how to use? I have read about magnetic nail polish a long time ago, but it was not really readily accessible in our local market. Until recently, I was thrilled when a set of magnets and magnetic nail polish was sent to me by kkcenterhk.com for review. Magnets can only work with magnetic polish, but not ALL magnets can be used if they are not carved with designs. A set of magnet comes in 3, with star and line designs. 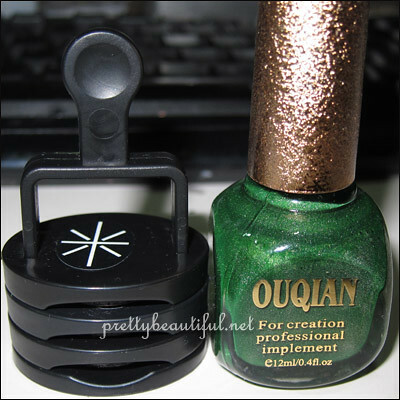 I have never heard of OuQian brand before but it doesn’t really matter. The color is really pigmented with just one coat. The first stamp I tried was the star design. In fact, this design is the most prominent of all. Apparently, magnetic polish contains tiny iron particles that will be attracted to the magnet and hence forming a pattern. If you color your magnet, you will see the design clearly, and you will suddenly understand how it works exactly. Be sure to wipe it off after fulfilling your curiosity. How to use the magnet? After painting your nail polish, immediately hold the magnet for about 10 seconds as close as to your nail possible, but NOT touching your polish. 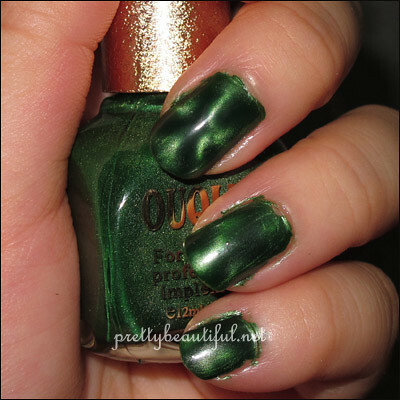 You should only work one nail at a time before the polish dries to create the pattern. It works best when it is wet. Once the polish is dry, you will have to use a second coat and rework this. Since my stamping sent came with a ‘rack’, I can rest my finger underneath and support it with another finger so that it will not collapse. 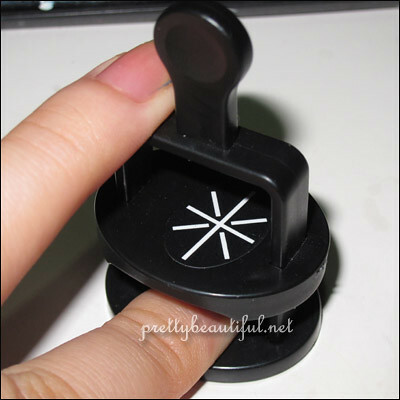 I find this way to be easier because your hand might get tired from holding the magnet too long and become shaky. It happened so many times that the magnet touched polish and smudged it, I had to remove and repaint to correct the mistake. My first time using the magnet definitely wasn’t a smooth sailing. It takes a while to get a hang of creating the pattern, it looks easy but it takes a while to learn. I quite like the idea of magnetic polish because it can create a nice patten effortlessly (when you have practiced enough). 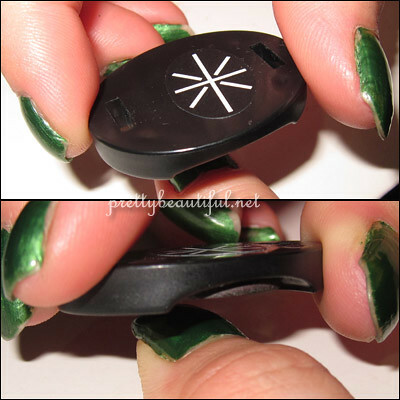 For more FAQs for magnetic nail polish, read Scrangie Magnetic Polish Guide! yay you got the magnetic polish to work! 😀 Scrangie’s guide to magnetic polish is AWESOME stuff, and super detailed. cnt wait to see yr polish too!!! 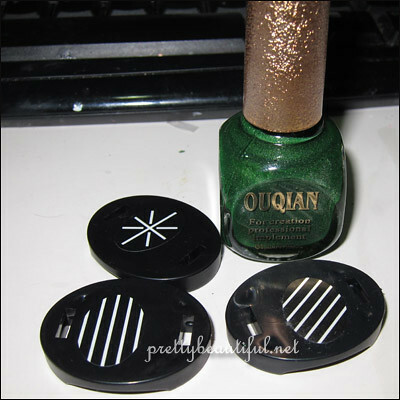 xin recently posted..Magnetic Nail Polish Fun – How it works and how to use? That’s so pretty! Love the effect! gio recently posted..How Long Should I Use A Skincare Product Before Deciding If It Works Or Not?